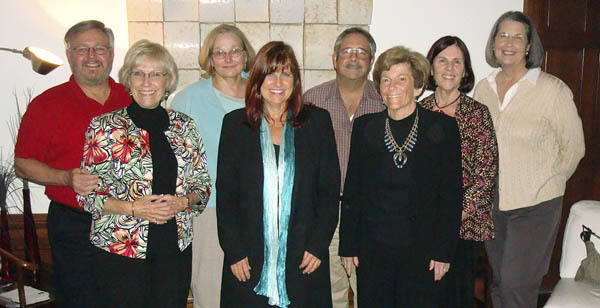 Here's a picture of those of us that attended the mini reunion in Chattanooga Sept. 18-20. We really had a great time, even though it rained (I should say, poured) the entire time! That didn't keep us from going to the beautiful acquarium which was across the street from our hotel, as well as two iMax shows. A trip to Chattanooga wouldn't be complete without a trip to the Choo-Choo which is the train station and now a Holiday Inn! L-R: Jim Williams, Sue (Harris) Williams, Amanda (Frank) Stokes, Debbie (Sherman) Higgens ('71), Paul Koester ('64), Martene (Ponder) Stansbury, Jacque (Reed) Sturtevant, Pat (Algood) Junkin. All were from the class of '62 except as noted.